When Joe Maddon took the reins of the Cubs in November, 2014, along with the money the Cubs supposedly have, there was a belief that some sort of exodus from Tampa Bay was going to take place and several big-name guys would make their way north. David Price would definitely come to Wrigleyville. Heck, maybe even Evan Longoria would come, and Kris Bryant could move to the outfield. The ideas were endless. Ben Zobrist was never the peak of these fantasies, but for yours truly he was certainly part of them. Here’s a superutility player who can smoke 20 home runs and slash .265/.355/.430. He gives any team he plays for depth, and it just so happens he can switch-hit, too. Yes, age is a concern (he turns 35 in May, 2016), but he just fits. And the icing on the cake? Born in Eureka, Illinois, just outside of Peoria which was home to the longtime Cubs minor league affiliate Chiefs, not too far from Chicago in the grand scheme. A homecoming made sense. And it finally happened. Ben Zobrist gives the Cubs an extra glove up the middle at second base, but last season alone he also played third, left and right. Given Joe Maddon’s tendency to mix and match his position players, it’ll be fun to see what he does with Zobrist along with Javier Baez and Addison Russell for the next several seasons. His ability to play corner outfield makes that situation interesting, as well; with no left fielder or center fielder set in stone, and Jorge Soler hanging out in right (unless he gets moved, too). Obviously the Cubs still need to do something in the outfield, but Zobrist (along with Bryant, Schwarber, and maybe even Baez) provides a backup plan, at least in left. Writer’s Note: As of this writing, it was mentioned that Starlin Castro will be going to the Yankees. Zobrist, statistically, looks to be an upgrade to Castro. Lest we forget that around Zobrist and the newly acquired John Lackey, the Cubs are also fielding Anthony Rizzo (fourth in NL MVP voting), Kris Bryant (NL Rookie of the Year), Jake Arrieta (NL Cy Young), Jon Lester, Kyle Schwarber, Addison Russell, Jorge Soler and Kyle Hendricks, an exceptional roster of guys not who not only proved to be valuable in 2015, but a ton of these guys are either controlled by the club or signed for a long time. This team won 97 games in 2015 without Zobrist or Lackey, and the only major part it lost so far was Dexter Fowler, who may still be replaced sufficiently in due time. The alleged trade of Starlin Castro to the Yankees could net the Cubs a decent return (details remain unknown as of this writing, rumor is Adam Warren), but even if it doesn’t, it frees up some money for the Cubs to make another signing. And fans are holding out hope the front office is still in the Jason Heyward discussion, and the Cubs have hinted that they’re at least in that conversation. The Cubs have already filled significant holes from the 2015 and have opened the door for Javier Baez to see more playing time in ’16 (he was impressive between AAA and the MLB last year). 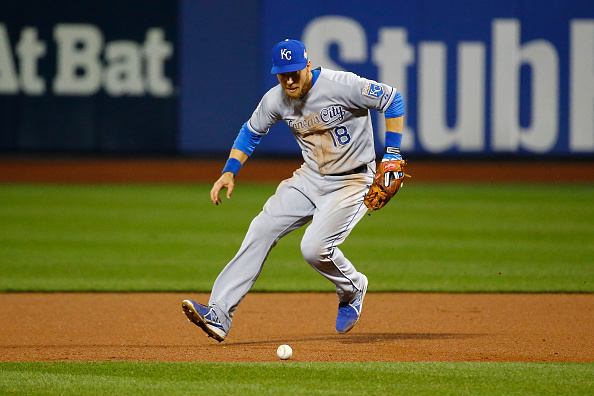 Zobrist is a huge signing for this club, and his veteran experience can go a long way. Watch out for this team.